InsideOut Solutions proudly announces the April 20 launch of the new responsive custom WordPress website for The Captain’s Manor Inn, a premier Cape Cod bed and breakfast in Falmouth, Massachusetts. Trish & Kevin Robinson, the innkeepers, have been our website design and hosting clients since 2010 and this is the second custom website we have developed for them. 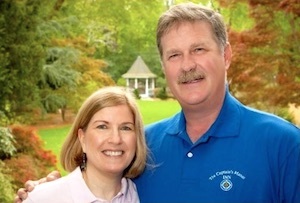 Trish & Kevin purchased The Captain’s Manor Inn in October 2009 and approached InsideOut soon after with a very specific objective: move our website marketing technology forward. Trish’s background in marketing and had prepared her well for crafting and presenting the inn’s marketing message. Her experience in Information Technology (IT) had taught her that better tools provide better results. InsideOut Solutions was the right fit for her needs. Over the ensuing years Trish & Kevin took our recommendations for upgrades to the website, which kept it competitive longer than is usual. Even so, these savvy innkeepers are not ones to rest just because something is working. They had been watching our new website launches and knew the time had come to rethink and rebuild their website. We were very happy to be their choice (again) for that job. As always with a custom website, Lead Web Designer Beth Edwards worked directly with Trish to craft a new look and feel that met both the innkeeper’s vision and our cutting edge technological standards. The process was smooth since the two had worked together on the previous website. Internet Marketing Manager Shawn Kerr provided both pre- and post-launch SEO services. Both page content and code were optimized via page edits and the Yoast SEO plugin during the proofing process. Redirects were created for each and every URL of the previous website to ensure no “page not found” errors would show up to have a negative impact on either search engines or visitor experience. 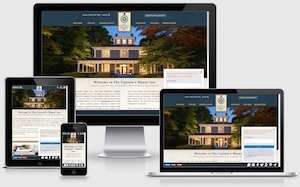 The new responsive custom WordPress website for The Captain’s Manor Inn launched with an SSL upgrade on April 20 and was submitted to the search engines to make sure the new secure “HTTPS” website address was quickly indexed. 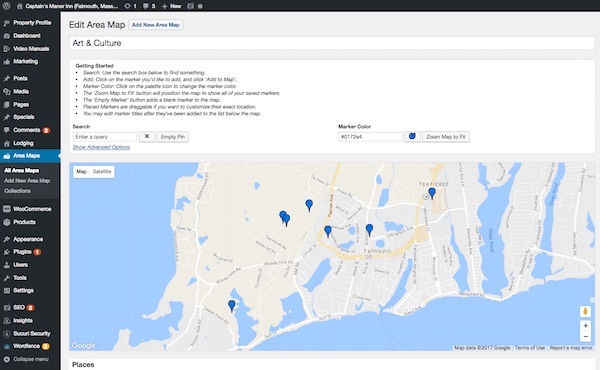 Considering a Responsive Custom WordPress Website for Your Inn? Web development never stands still. A new responsive custom WordPress website from InsideOut Solutions starts at $7,500 and may be financed at $270 per month (based on $1,000 down + 24 monthly payments). View our Custom Design Portfolio and contact us today for a quote to move your internet marketing forward with effective with website design and web development crafted at the leading edge.